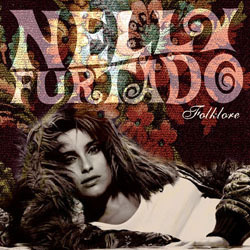 This week, some members of the music press received a CD sampler of Nelly Furtado's new album "Folkore." The teaser includes snippets of four new Furtado songs, including "Fresh Off The Boat," "Explode" and the ballad "Try." Also featured is the new single "Powerless (Say What You Want)," which is currently storming up the iTunes chart. Click here for an exclusive e-card of her newest single "Powerless." Taken solely from the short sound fragments, "Folklore" seems to reveal a more mature Furtado with a musical production that combines her cheer, outright emotion and spirited crooning. "Fresh Off The Boat" is a fun dance jive that has Furtado singing about being humble as an immigrant. The singer captures unbridled emotion on the epic love ballad "Try," which only features the chorus twice and has an improvisational ending. 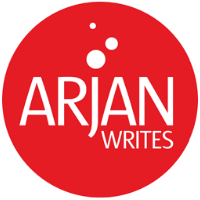 Based on her poem "Teenage Waste," the pop-rock song "Explode" includes terms from Capoeira, the Brazilian martial arts form, to express feelings of angst and agression. The disc was produced by Track & Field Productions and Furtado. In an interview, Furtado confides that her new record is inspired by culture, love, fresh energy and other sentiments often associated with folk music. "Every nation, and every country has its own version of folk music," says the Azores-born singer. "[Folk music] is the idea of somebody picking up a guitar and singing about what's around them." "What you get is something very raw and real." The sampler also includes a 16-minute spoof that has Furtado (a.k.a. Smelly Dorito) play Frederica, a ditsy reporter of "Folklorica FM." While introducing new Furtado songs, Frederica interviews other pop celebrities on an imaginary red carpet. Furtado hilariously imitates the voices of Britney Spears, Shakira ("Chakra"), Avril Lavigne, Erika Baduh and Bjork. While waiting for the entire version of "Folklore to hit store shelves, Furtado's marketing folks deserve kudos for their original way of creating initial excitement. "Folklore" will hit stores on November 25th. nelly is masing i cant wait to november 25! spoofs! ha! i would love to her nelly and her imitations! i can't wait to hear that spoof. Holly sh*t, the album is the sh*t!! Awesome, unbelievable! Oh gosh, y'all go buy it too!